Barry Murphy; Simon Madden, Kevin Toner, Lee Desmond, Ian Bermingham; Jamie Lennon, Darragh Markey (Killian Brennan 83), Ryan Brennan (Graham Kelly 88); Conan Byrne, Dean Clarke, Jake Keegan (Thomas Byrne 85). Kevin Horgan; Joey O'Brien, Roberto Lopes, Lee Grace; Ethan Boyle, Sean Kavanagh, Greg Bolger, Aaron Bolger (Brandon Miele 76), Ronan Finn; Graham Burke, Dan Carr (Gary Shaw 70). 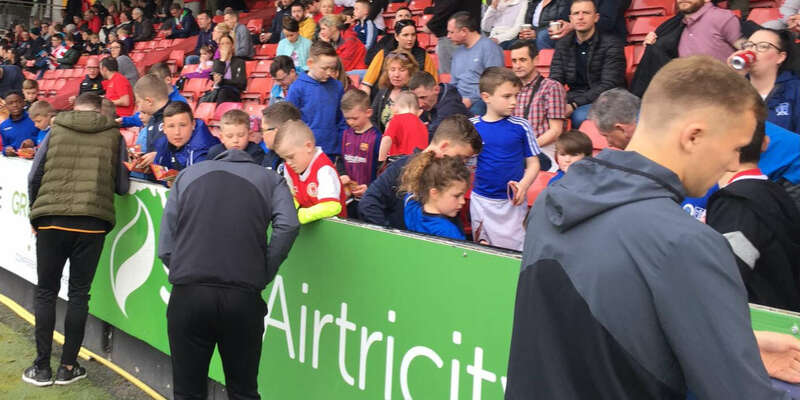 Ireland international Joey O'Brien was shown a straight red card as St Patrick's Athletic punished Shamrock Rovers' indiscipline at Richmond Park. Kevin Toner and Killian Brennan found the net in the second half after O'Brien saw red for a late challenge on Saints' Ryan Brennan. The challenge looked more clumsy than deliberately reckless, but referee Graham Kelly took his time before upgrading the yellow card to a red. 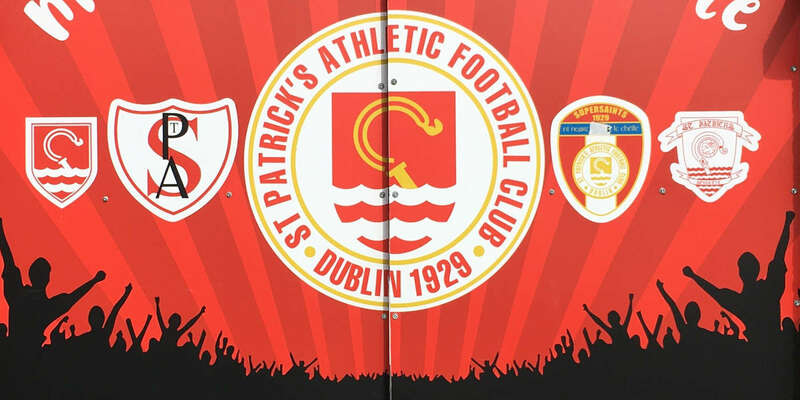 St Pat's made two changes to the side that fell to a heavy 5-0 defeat in Oriel Park on Monday, with Conan Byrne and Ryan Brennan adding experience to the team. Rover boss Stephen Bradley made just one switch from the side that so impressively beat champions Cork City in Tallaght, with Dan Carr returning up front in place of Gary Shaw. The home side began the brighter and threatened the Rovers goal on a number of occasions from set-pieces, with both Lee Desmond and Ian Bermingham heading wide. Rovers were looking the more fluid side in general play, and a quick break through Carr saw the ball worked left to Sean Kavanagh, but he flashed a shot wide from just inside the box. 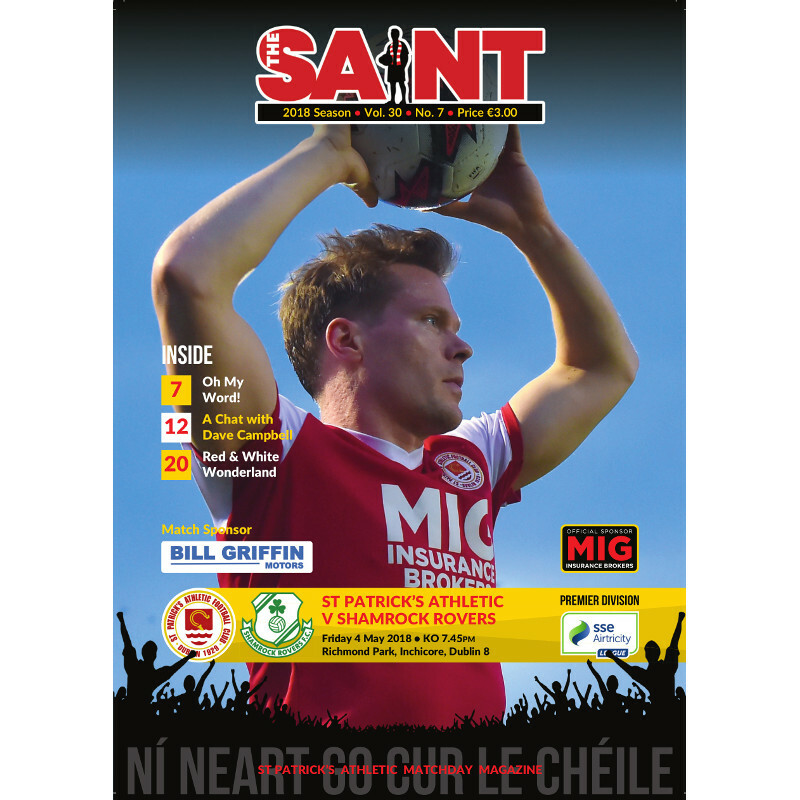 The Saints' most likely route to goal looked to be from set-piece deliveries, and a deep delivery from Conan Byrne found Ryan Brennan, but his header was an easy save for Kevin Horgan. 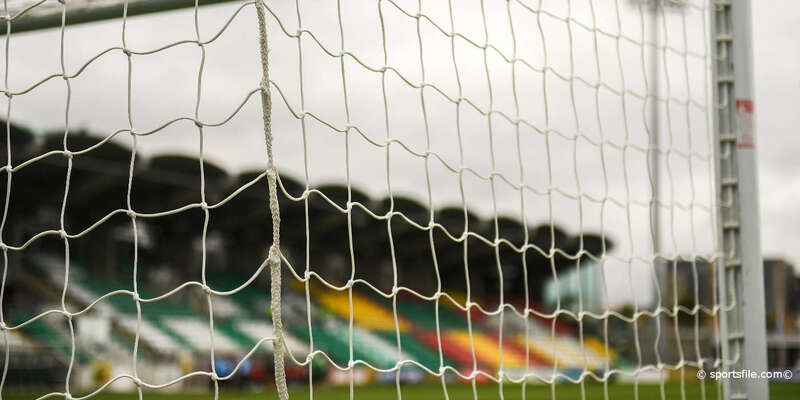 Byrne curled a free kick over the bar from the edge of the D just before the half-hour, before a mistake from Simon Madden allowed Carr to shoot straight at Barry Murphy. Graham Burke hit the wall from a similar position to Byrne's strike at the oppposite end as they game looked set to reach half-time without any major incident. That was before O'Brien â€“ pushing high up the pitch on the right of Rovers' back three, went in late on Brennan and was justifiably booked for his overenthusiasm. Pats looked to make their numerical advantage tell before the break as Brennan went close at the back post before Clarke drove wide, but the interval arrived with the scores still tied. Brennan should have put the Saints in front within five minutes when he was presented with a prime shooting opportunity in the box, but under no pressure he curled his shot wide. It mattered little as, moments later, a defensive mishap from Rovers saw Toner's header allowed to run all the way through to the corner of the net. And they made sure of the points in the final minute when Kavanagh gave away the penalty and Killian Brennan sent Horgan the wrong way from the spot.